It has been a very sad week for music lovers. According to a statement from Prince's publicist, the legendary "Purple Rain" singer has died. 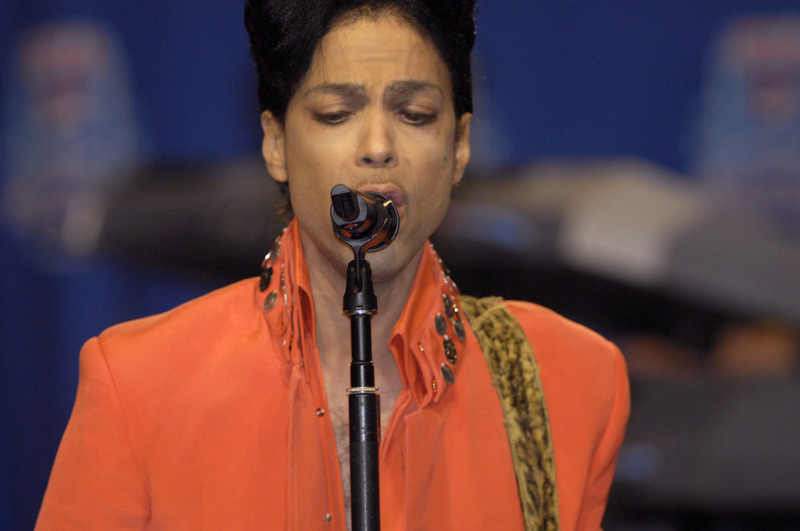 Though there are no details about the cause of Prince's death available, the singer's publicist stated that the singer — whose real name is Prince Rogers Nelson — died at his Paisley Park residence in Minnesota on Thursday. He was 57. Though the news comes just one week after TMZ reported that the music icon was hospitalized due to a battle with the flu, it's safe to say this news was extremely unexpected. Tragically, Prince isn't the only major superstar of the '80s that we lost early in 2016: David Bowie died in January of 2016, and the world lost yet brightly burning superstar. In light of Prince's passing, Prince's own 2014 cover of one of Bowie's iconic songs will give you all of the feels. It seems wholly unfair for the world to lose not one, but two profoundly unique talents in one year — and it seems the only consolation is the fact that their music will live on. Though Bowie was alive and well when Prince performed his cover of Bowie's 1983 hit "Let's Dance," the fact that we lost them both in the same year gives Prince's cover from the Essence Music Festival in 2014 a bittersweet quality. Prince joined Nile Rodgers, founding member of Chic and co-producer on "Let's Dance," for a performance of the hit at the festival. While Prince's cameo on the track was surprising then, it has even more meaning today now that both legends are gone. It's tragic that both Prince and Bowie are no longer with us, and that they died in the midst of careers that meant so much to so many people. The body of work that they leave behind will be listened to by fans for years to come — we just wish that there was more of it.